McMaster students, staff and faculty members are invited to the Equity and Inclusion Office’s “What Is…?” Coffee, Croissants and Conversation Series. 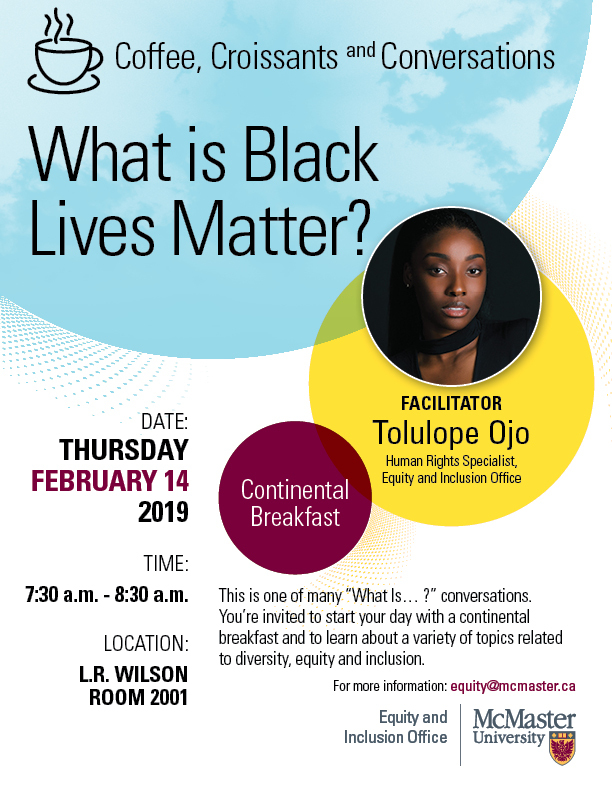 Start your day with a continental breakfast and learn about a variety of topics related to diversity, equity and inclusion. Topic: What is Black Lives Matter?